According to ESPN Senior NBA Insider Adrian Wojnarowski, The Phoenix Suns have reportedly reached an agreement with the Houston Rockets that would send Brandon Knight and Marquese Chriss to Houston for Ryan Anderson and De'Anthony Melton. With the move, the Rockets have relieved themselves of the final two years and $41.7 million remaining on Anderson's contract. 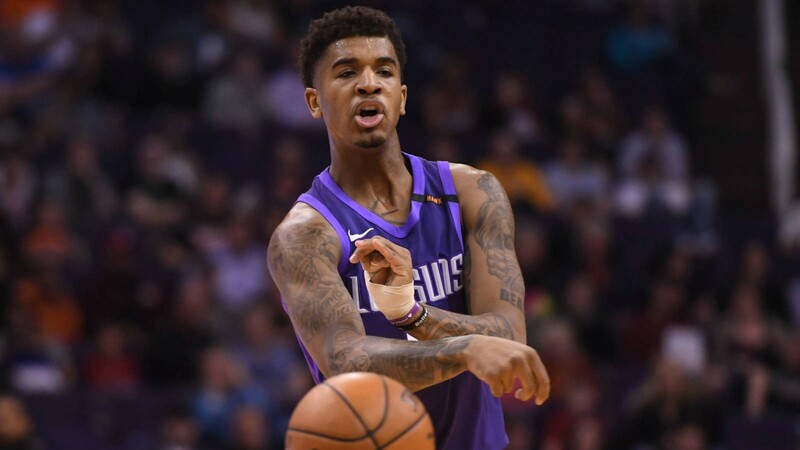 During the regular season, Anderson averaged just 9.3 points—a mark that was largely a result of his attempting 7.3 shots per game—his fewest since 2010-11. He also averaged five rebounds per game and shot 43.1 percent from the field. In his 10 years in the league, Anderson has averaged 12.8 points and 5.4 rebounds a game. The 6-foot-10, 240-pound shooter entered the league in 2008 with the then New Jersey Nets, but has since played for the Orlando Magic, the New Orleans Pelicans and the Rockets. Knight, initially acquired in Feb. 2015 for a Lakers first-round pick that eventually turned into Suns 2018 draft pick Mikal Bridges, was expected to play a large role in the Suns backcourt. Knight, who signed a five-year, $70 million contract in July 2015, missed all of last season after surgery to replace a torn ACL. Knight only played 50 games in 2015-16. Knight has two years left on his contract and is slated to make $14.6 million this season. With the addition of Trevor Ariza, Chriss was forced out of the rotation. hriss, the eighth overall pick in the 2016 draft, averaged just 8.5 points and 4.8 rebounds over his two seasons in Phoenix and never reached his full potential. With a fresh new start in Houston, Chriss could possibly unlock his potential. The Suns' biggest takeaway from the trade will be point guard De'Anthony Melton. The former USC Trojan averaged 8.3 points, 3.5 assists and 4.7 rebounds per game in the 2016-17 season for the Trojans and did not play last year. Phoenix's rookie draft class already includes Deandre Ayton, Mikal Bridges and Elie Okobo. Melton is a high-energy player and athlete that has great foot speed getting up and down the floor. He likes to play in transition, where he has a solid playmaking feel. Melton is a rangy defender with a good sense of anticipation. During his freshman year, he averaged 2.6 steals and 1.4 blocks per-36. Measured with a 6’8” wingspan, he can defend either guard position. 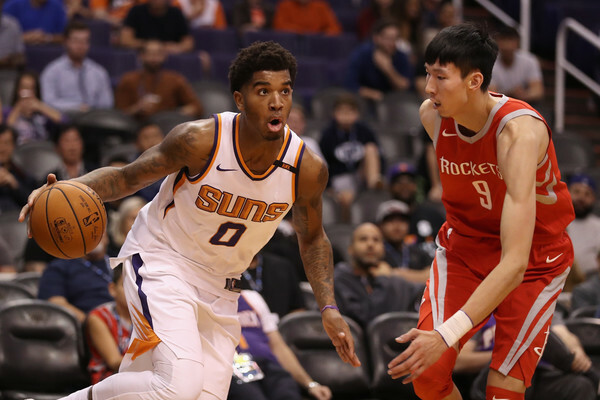 The Suns now have Melton, Okobo, Shaquille Harrison and Isaiah Canaan as options at point guard.